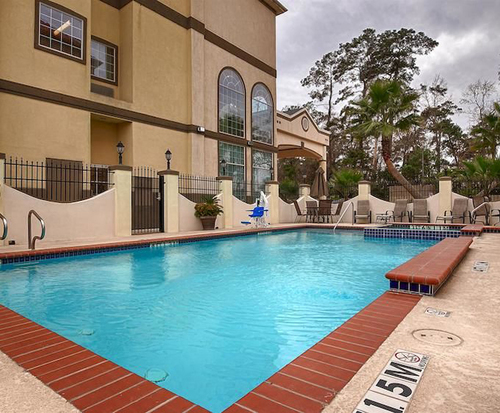 The Best Western Plus New Caney Inn & Suites is located near the Lake Houston State Park. This is a hotel that has plenty of room for families or those who are in the area for a special event. Meeting space is available. 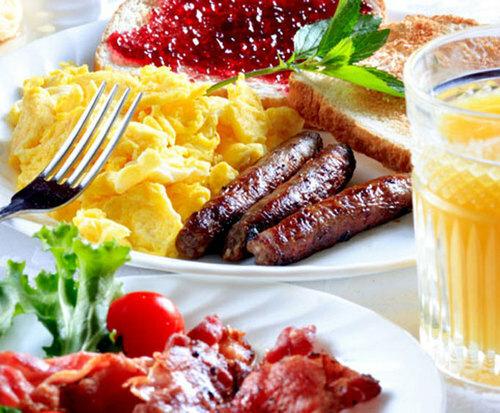 A free breakfast of meats, waffles, fruits and cereals is served each morning. The hotel has a pool for those who want to cool off after a day of exploring the city. There is also a fitness center and hot tub. Pets are allowed. The front desk is open 24 hours a day. 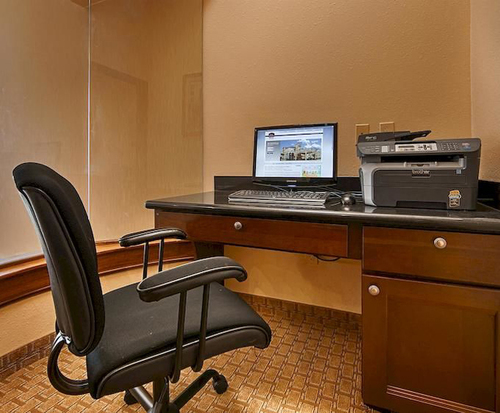 The business center includes a copy and fax machine as well as a printer. There are ice machines on the first and third floors and vending machines on the second and third floors. The exterior of the hotel is light in color. A covered area is at the front entrance. Pictures of flowers in vases adorn the walls of the lobby. There is a fireplace in the lobby with a television above the fireplace. Chairs sit near large windows in the lobby. There are water fountains in the fitness center. A metal fence surrounds the pool. Cable and high-speed internet are in each room. There is also an alarm clock and telephone in each room. Guests have access to a microwave and small refrigerator. Some rooms have a sleeper sofa and a mini-bar. Connecting rooms are available.